Our gardens have been greatly enriched by the introduction of plants from abroad but a small number have proved highly invasive in the UK, threatening natural habitats and native species. The control of these species is difficult and costly, yet many are widely available with little indication of the damage they can do if they are allowed to escape from gardens or are disposed of carelessly. After habitat destruction, invasive non-native species are the most serious threat to global biodiversity. Non-native species are those that occur outside their natural range due to direct or indirect introduction by humans. If the introduced plants or animals persist in natural or unmanaged habitats, they are termed ‘naturalised’. Many naturalised species do not present a problem but some that spread and outcompete native species can threaten ecosystems, habitats or native species – resulting in environmental or economic damage. These are considered to be invasive either due to lack of natural control mechanisms (such as predators); rapid rate of spread (by seed or vegetatively) or suppression of other species (such as allelopathy – as with black walnut – or competition for resources). Invasive species can be plants, animals, or other groups such as fungi or algae that cause disease or pest problems. FACT: There are 1,402 non-native plants established in the wild in Great Britain, of which 108 (8%) are stated to have a negative impact. What UK legislation covers invasive non-native plants? FACT: It is a criminal offence to plant or cause to grow a non-native invasive species that is listed on Schedule 9 in the wild which carries penalties of up to £5,000 fine and/or 2 years imprisonment. The Irish Government adopted in 2011 the European Communities (Birds and Natural Habitats) Regulations in which Schedule 3 provides a list of species which it is an offence to (a) cause to grow, disperse or spread in the wild and (b) possess, propagate, offer, distribute or import with the intention of making available for sale. However the provision (b) on dealing in and keeping certain species is not yet in effect. The EU Regulation (below) also applies in the Republic of Ireland. For more information on identifying and recording invasive species in Ireland, visit their website. What is in place to help tackle the problem? The Convention on Biological Diversity (1992) included a requirement for signatories to prevent the introduction of, control or eradicate those alien species which threaten ecosystems, habitats or species. This led to the formation of the Global Invasive Species Programme in 1997 which published the Global Strategy on Invasive Alien Species in 2001. Alongside these developments, working with the horticulture industry, the Department for the Environment, Food and Rural Affairs (Defra), published the revised Horticulture Code of Practice for England and Wales in 2011 which provides non-binding guidance to horticulture professionals and gardeners on dealing with non-native invasive species. There is also a Horticultural Code of Practice for Scotland. The EU Regulation on Invasive Alien Species, which became law early in 2015, has a provision for a list of species of EU-wide concern. The first list become effective in August 2016, and an update to the list (the first update) came into force on 2nd August 2017. Species that are included on the list attract the strictest measures of control, including a ban on keeping, growing or cultivating, transporting or trading, use or exchange, as well as release into the wider environment. These controls will apply to individuals as well as organisations and businesses that own or hold any of these species. Gardeners who already have these species in their gardens are not at risk of prosecution for possession as the Regulation is not retrospective, but will be required to meet the other requirements of the Regulation to ensure that they control the species effectively on their property and do not allow it to spread. How are invasive non-native animals a problem in the UK? ACTION: Releasing non-native animals into the wild is an offence under the Wildlife and Countryside Act. Unwanted pets should be passed on to wildlife centres or persons who are able to care for these animals, or they should be humanely destroyed. 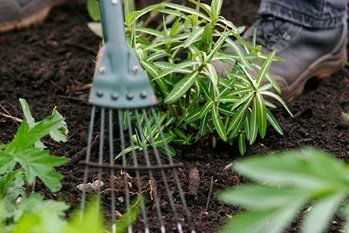 ACTION: Gardeners who have either species of flatworms should avoid moving soil, compost or rooted plants from their gardens to other areas that are currently free of flatworms. Suspected new plant pests or diseases should be reported to the Plant Health and Seeds Inspectorate or send samples to FERA Room 10G A01, Sand Hutton, York, YO41 1LZ. For these reasons preventing the escape in the wild of non-native species is paramount. What if I own land infested with invasive non-native plants? The EU Invasive Alien Species Regulation restricts the movement of plant material of any species listed as being of Union Concern. This restriction does not apply when the movement is for the purpose of disposing of excess material or in the course of eradication of the species. The advice from Defra is that, with the exception of Himalayan balsam (Impatiens glandulifera) and giant hogweed (Heracleum mantegazzianum), material of any listed species can be disposed of as normal green waste through local recycling. Himalayan balsam and giant hogweed, like Japanese knotweed, must either be destroyed on site or removed by a registered waste carrier: on no account should they be treated as household waste. Aquatic weeds can be composted or buried in trenches in the garden. When dried they may be burnt. Local Councils and county Wildlife Trusts may also be able to offer advice. What could happen if I don't control an invasive species on my land? The UK Government introduced new provisions in the Infrastructure Act (2015) to control invasive non-native species in England and Wales. There are two levels of control: a species control agreement and a species control order. In the former the owner of land where an invasive non-native species is present, when approached by the relevant environmental authority, agrees to take action to limit or remove the species. If the landowner fails to do so, or does not agree, or where it is not known who the landowner is, then the environment authority can take action to enforce the control of the species. This may involve entry of the property by the authority to carry out the control if the owner fails to comply. In the case of an emergency then a species control order may be issued without going through the previous steps. Only those species listed on Schedule 9 of the Wildlife & Countryside Act can be subject to these control measures. Separate Codes of Practice have now been published for England and Wales. Gardeners should also be aware of the extension of powers under the Anti-Social Behaviour, Crime and Policing Act (2014), which enable local authorities and the Police to address problems where an individual is acting unreasonably in a way that is affecting the quality of life of those living nearby, to be applied to individuals failing to control invasive species, through the issuing of community protection notices. These powers have already been successfully used in a few cases. Be aware of your garden and its situation and act accordingly. For instance, avoid Cotoneaster shrubs if you live near downlands or limestone outcrops, as birds will spread the seeds.